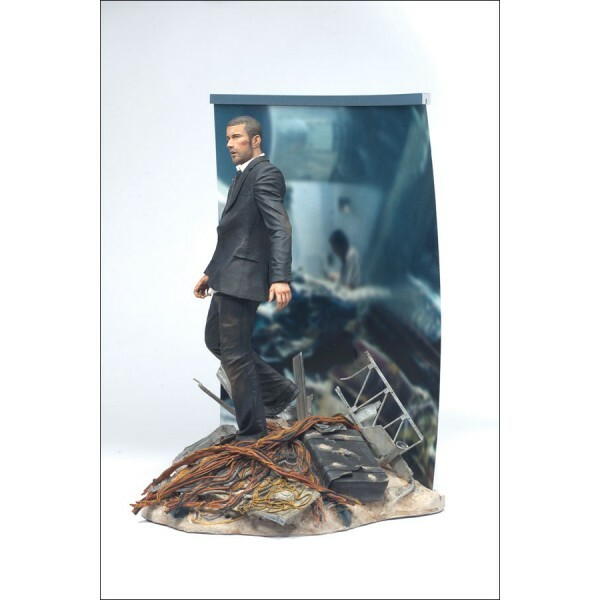 Jack Shephard figure is 7 1/4" tall and stands 8 1/2" (21.60cm) tall on custom base detailed with crash debris. Figure is articulated at neck, shoulders, wrists and waist. 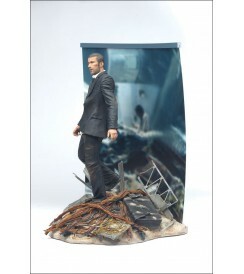 Includes backdrop of plane wreckage and Kate's mugshot full-size prop replica.